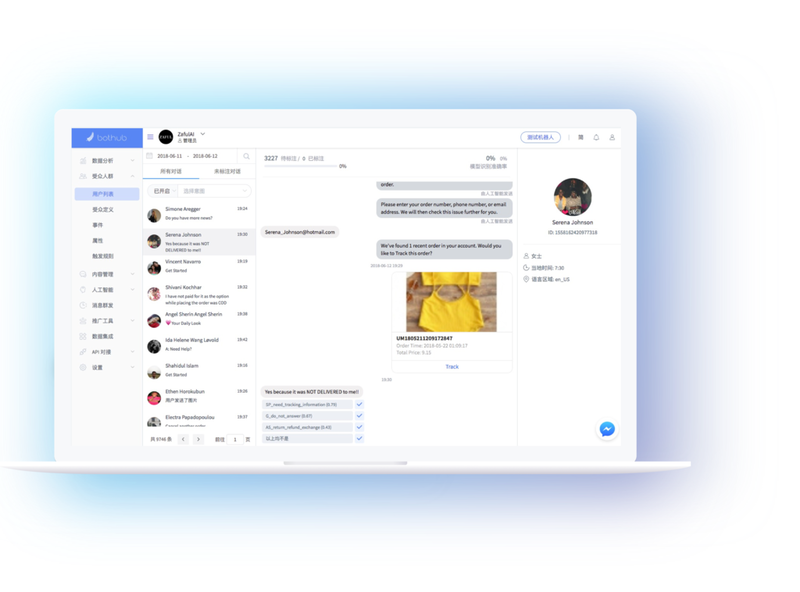 As your social media message center, users are automatically grouped and messaged to help you manage your social media fans across the web. 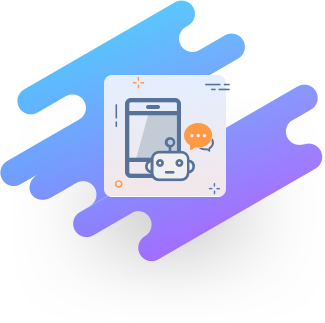 By using intelligent chatbots, along with BotHub's AI technology and a large amount of industry-related data, we can directly respond to customer's common problems. We've used this method to improve customer service experience and reduce the cost of artificial customer service by more than 40%. Connect website visitors and users in social networks. 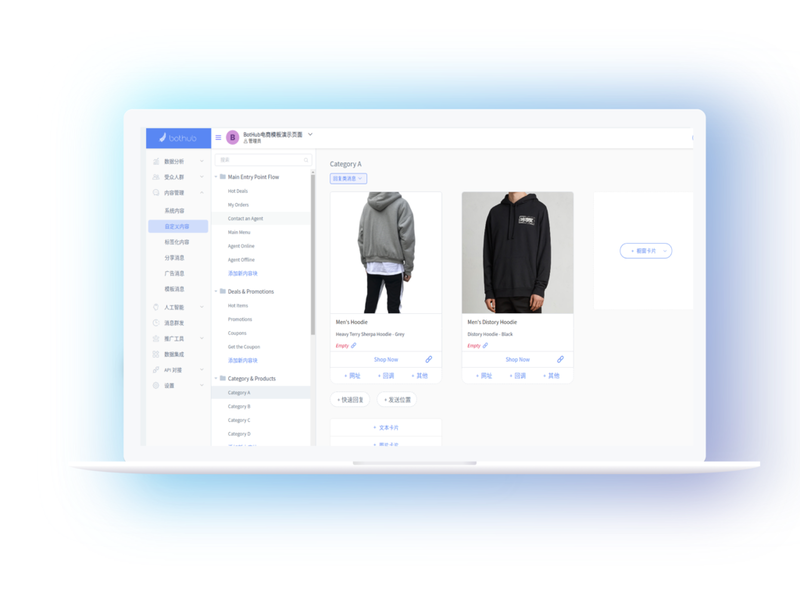 Recall lost users, wake up sleeping users, and bring you more than 10% extra orders by using personalized notifications. With multi products provided by Bothub, it will be easier to operate your social networks and services. Thousands users's messages are covered by intelligent customer service automatically. The accuracy rate is over 90%. The intelligent customer service covers multi-country channels such as the United States and India, covering 40% of common user issues.